A founding member of the RPBC, Proseed now represents its sister company, Ngai Tahu Forestry on the technical committee for the breeding programme and manages the RPBC breeding orchard north of Amberley. The function of the RPBC is to provide improved genetic material from its breeding programme to shareholders. It is the sole source of certified genetic material in New Zealand and has over 5,000 selections in replicated trials throughout New Zealand and Australia. The trials test the performance of traits such as growth, form, branching, wood density, wood stiffness, resin pockets, checking and Dothistroma resistance. The RPBC has 15 New Zealand and 3 Australian shareholders who are typically large forest owners and management companies. Collectively, shareholders manage over 1 million hectares of radiata pine - www.rpbc.co.nz. Proseed is currently replacing sections of its CP orchard with new selections from the breeding programme. This began in 2014 with the first phase to be completed in 2019. A further round of replacements are planned to follow as the RPBC releases new selections suitable for deployment in seed orchards. NZDFI is a research and tree breeding partnership that is developing genetically improved eucalyptus planting stock, management systems and timber processing options for durable hardwood eucalypt species adapted to drier regions along NZ’s dryland east coast. The long term objective is to ensure the supply of improved nursery stock sufficient for planting 100,000 ha of eucalypt forests to create a multi-regional sustainable durable hardwood products industry. Established in Marlborough in 2008, the NZDFI partners are: Proseed; Vineyard Timbers Ltd; Marlborough Research Centre Trust (MRCT) and University of Canterbury’s School of Forestry (UC SoF). Since 2014 Proseed has established seed orchards of E. bosistoana, E. cladocalyx and E. globoidea and produced rooted E. bosistoana cuttings for clonal testing. 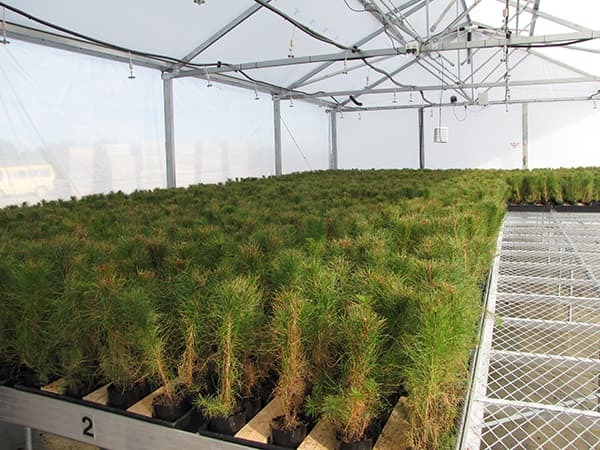 Proseed is actively developing a hybrid pine programme. 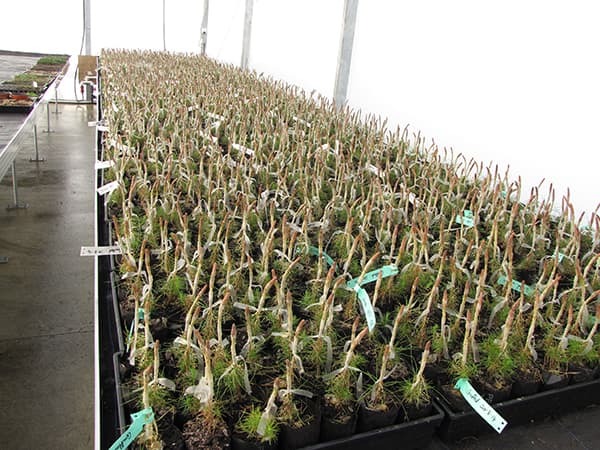 Field trials of Pinus radiata x P. attenuata hybrids established by Scion and Proseed in the late 1990s, show the now mid-rotation hybrids to be tolerant of cold and dry conditions, and to have good resistance to snow. The hybrids were first produced as possible alternatives to radiata pine for southern conditions. 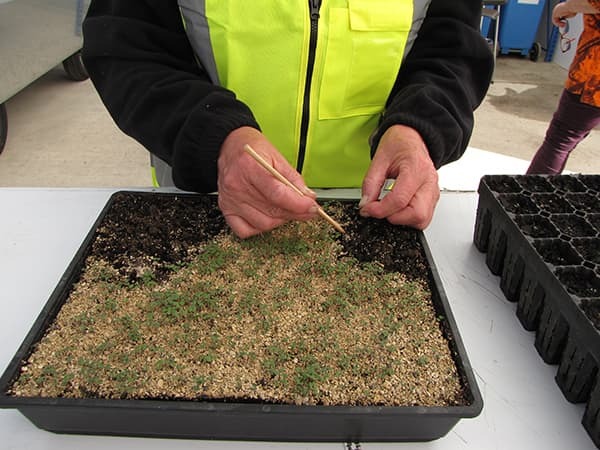 Parent trees were selected for growth and form, and seedlots trialled at various South Island sites. Sixteen years later at mid-rotation, the hybrids are demonstrating the cold and snow resistance of P. attenuata combined with the faster growth of P. radiata particularly at higher altitudes. This is the next stage in tree breeding. Conceptually, it offers major gains and therefore profitability to forest growers. Proseed is a member of the consortium now comprising all RPBC members and supported by SCION researchers. The essence of genomic breeding is the SNP (Single Nucleotide Polymorphism – pronounced as “snip”) which is simply a difference in a single DNA building block, called a nucleotide.The major objective of the Genomics Programme is to identify the SNPs that correlate with key traits in radiata pine such as growth and disease resistance. Reliable SNPs will generate accurate breeding values that will both reduce the breeding cycle and increase the amount of gain in member’s forests. Gains of up to 30% over conventional breeding are forecast. The first set of genomic breeding values for Resistance to Doithistroma needle cast should be available to members as early as July 2019.